A multi-faceted project to assist in planning application and ensure accurate design proposals were produced. 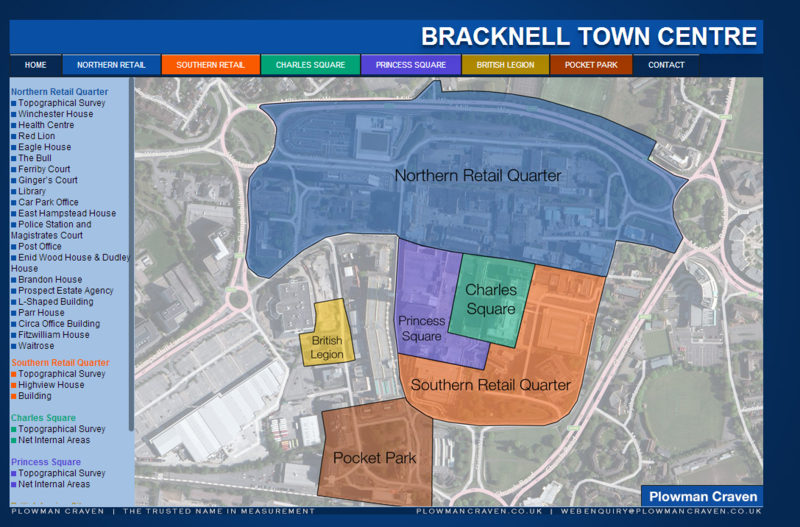 The Northern Retail Quarter (NRQ) project forms part of an exciting master plan to re-develop the town centre of Bracknell. The objective is to breathe life into the retail heart of the town, entice custom and key traders to the area and create an improved visitor experience. The proposal will see a large portion of existing buildings demolished and the construction of a new state-of-the-art shopping complex comprising various department stores, major shop units, smaller shop units, a cinema, cafes and eateries and multi-storey car parking. The scheme will also include major utility works and public realm enhancements. 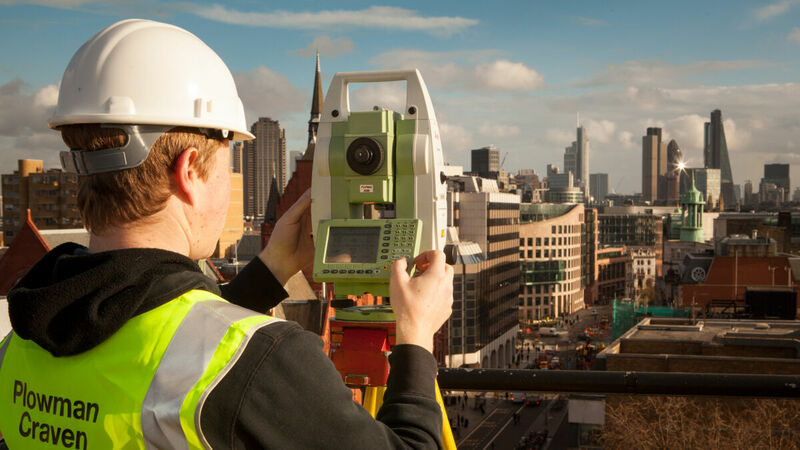 In order to assist in planning applications and to ensure accurate design proposals could be produced, a variety of specialised area measurement surveys were required. 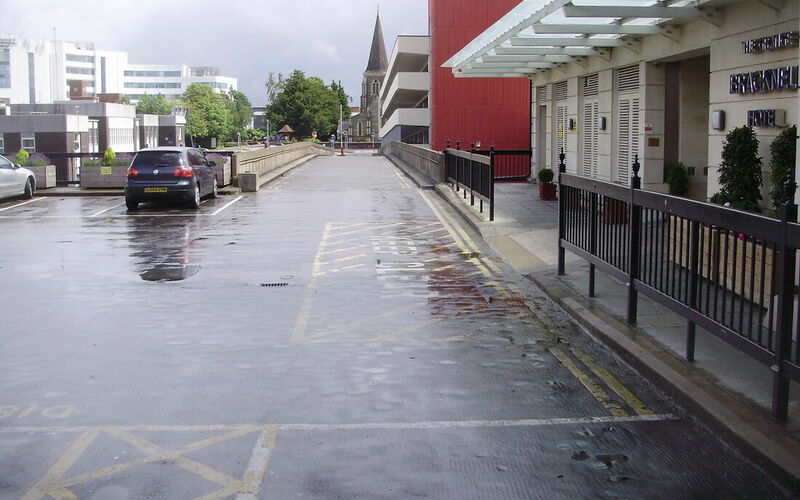 Gardiner & Theobald, Project Managers working on behalf of the Bracknell Regeneration Partnership, enlisted Plowman Craven to undertake the task. TruView™ of a complex roof structure inside the mall. 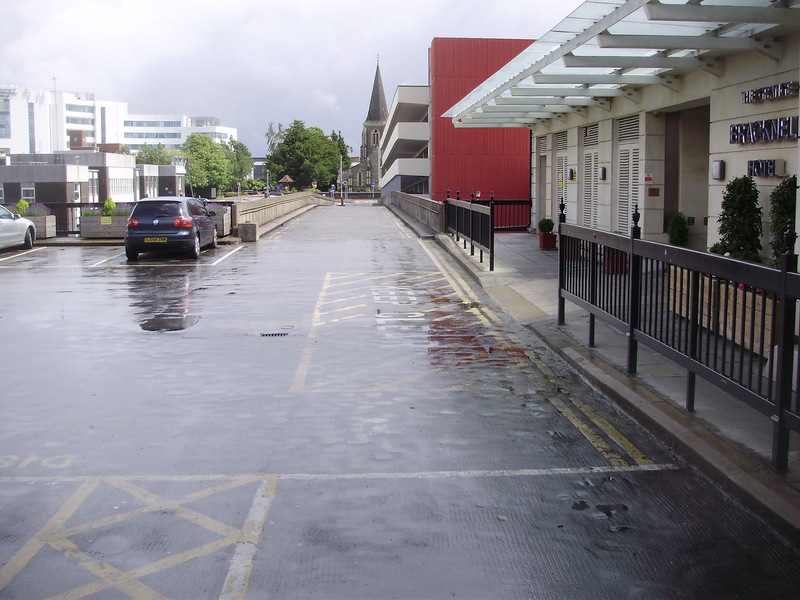 Close liaison between the Plowman Craven Project Manager and the various teams involved ensured that the primary challenges of tight deadlines and access to occupied buildings were effectively managed. All stakeholders in the re-development project were given the ability to instantly access all measurement data via a web portal established and hosted by Plowman Craven. We became the preferred supplier for the Northern Retail Quarter measurement exercise due to our ability to provide the specialist resource required within the specified timeframe, our use of innovative technology and provision of value added services. The Client Access Portal continues to be hosted by Plowman Craven and remains an essential information tool for everyone involved in the redevelopment program as it progresses.